“The Foundation offers an excellent opportunity to make tax deductible contributions for projects that are directly beneficial to the residents of our local senior community. It also provides an opportunity to raise funds to support selected priority local enhancements in a timely manner without drawing on our community’s operating budget." “The Lifespace Foundation exists solely for our benefit, to support residents and team members." 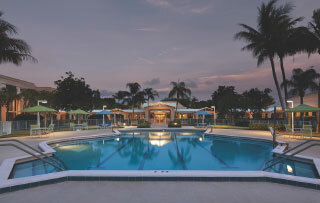 Apartment homes and villas with a variety of contract options are offered at Abbey Delray. Coming soon to the community’s 27 landscaped acres is a new pool, fitness center, spa and dining room, in the form of a $38 million redevelopment. 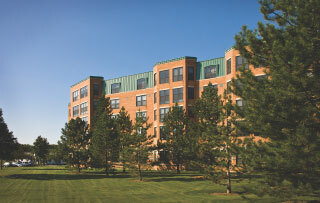 Abbey Delray is an exceptional campus with apartments and garden homes. 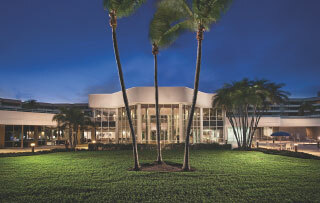 With several unique dining venues and a wide range of floor plans, it is one of three wonderful Lifespace communities in Delray Beach. 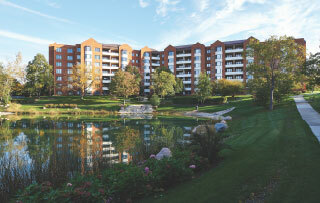 Beacon Hill offers beautiful apartment homes in a convenient western suburbs location. A new theatre and lounge, multiple dining venues and activity areas for health and wellness were all included in the recently completed $19 million redevelopment. 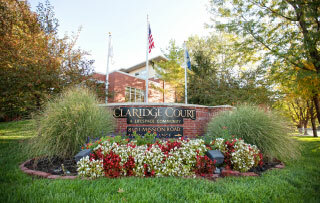 Claridge Court offers boutique-style, fine-living apartment homes in a supreme location. 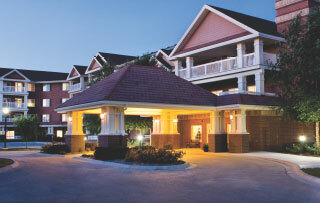 The artfully landscaped grand courtyard and easy access to entertainment, libraries, fine dining and art galleries give the community a top-notch reputation in the Kansas City area. 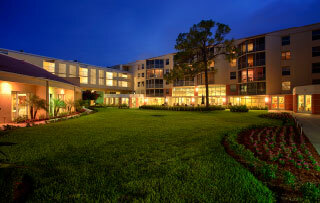 Deerfield is for those looking to enjoy an apartment home or townhome in a 46-acre natural setting. 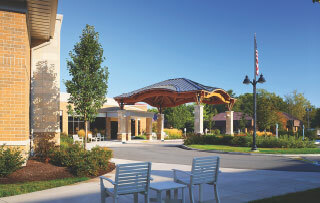 The community is the only CCRC in its area to offer the security of Life Care, and recently completed a $9 million redevelopment with a new multipurpose center, additional dining options and much more. Wonderful apartment homes and townhomes in a conveniently accessible location makes Friendship Village of Bloomington unique. 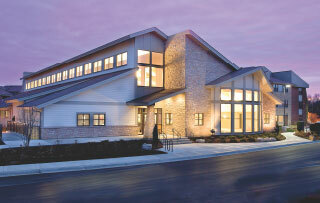 Better yet, the community is a Masterpiece Living® certified center for successful aging. At Friendship Village of South Hills, you’ll find apartment homes and Carriage Homes in a casually elegant country setting. With new common spaces and dining venues recently added, and a new health center coming as part of a $40 million redevelopment, exciting things are on the horizon at Friendship Village. Some of the Lincoln area’s largest apartment homes can be found among Grand Lodge at the Preserve’s wide range of floor plans. Grand Lodge offers its residents a unique Madonna ProActive membership that creates remarkable opportunities for fitness and healthy living. The intracoastal Waterway location and elegant apartments that come with living at Harbour’s Edge creates a truly superior lifestyle. The newly completed $24 million redevelopment brings even more beautiful common spaces to the community. 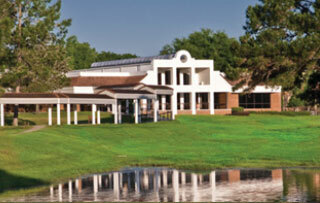 At Oak Trace, you find apartment homes and villas on a park-like campus close to shopping, dining and entertainment. The $174 million redevelopment that is underway will include a new health center with assisted living, memory care and skilled nursing – and a Phase Two that adds new apartment homes and villas, commons areas and dining venues. 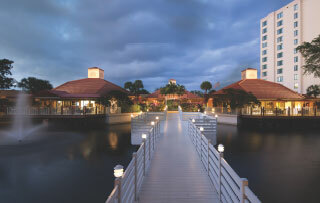 What makes The Waterford ideal for retirement is Juno Beach-style living in beautiful apartments and villas. Residents enjoy easy-living outdoor common areas, partnered with a “city at the door” feel and one-mile proximity to the beach. 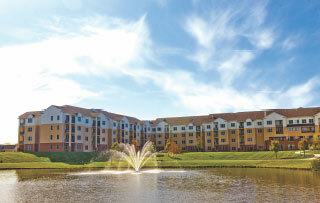 Village on the Green boasts spacious apartment homes and villas on a comfortably uncrowded, tree-filled campus. The upcoming redevelopment brings a new health center, townhomes, dining options, fitness center and spa — plus a renovated clubhouse and commons area.